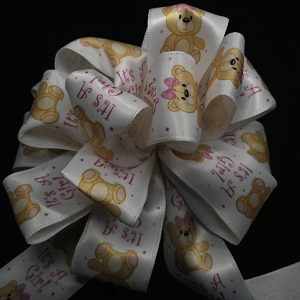 10 Yard Roll of 1 1/2″ Wide Wire Edged Paw Prints Ribbon. 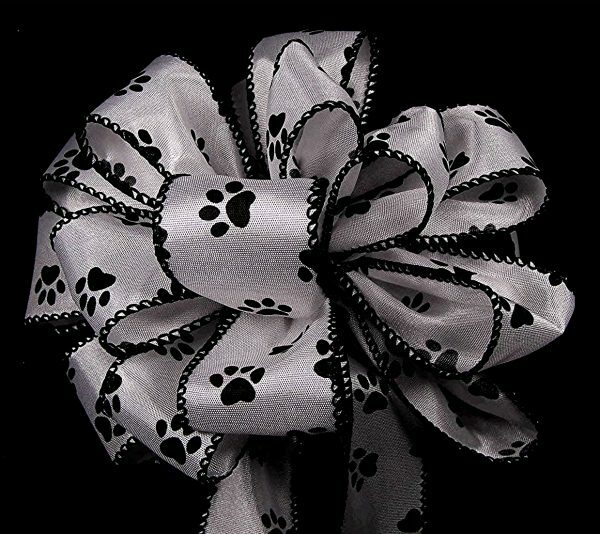 White background with black Paw prints. 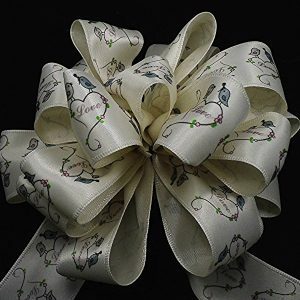 This is a great ribbon for the dog lover in your life. Makes a great bow.